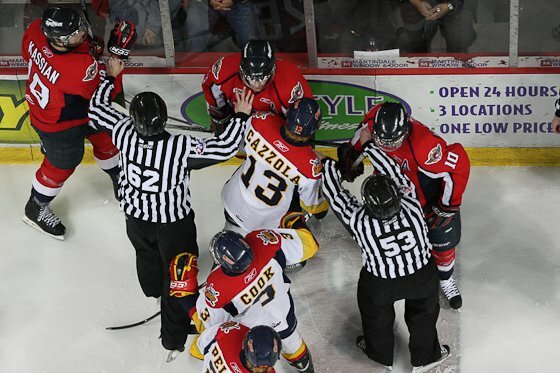 This article is 2946 days old. 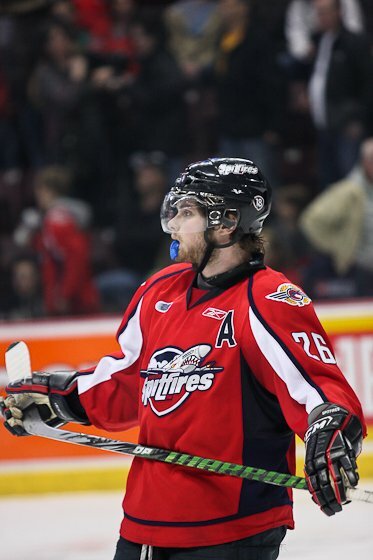 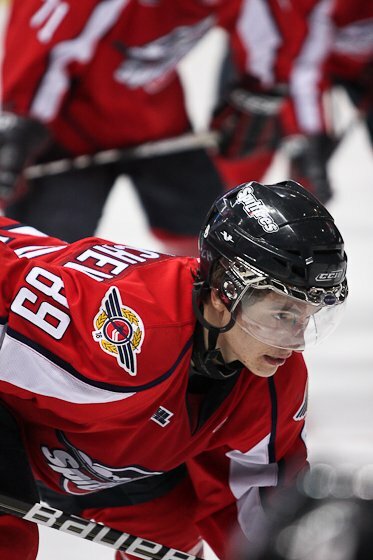 The Windsor Spitfires suffered a tough loss to the Erie Otters and now have a 3-2 lead in the series. 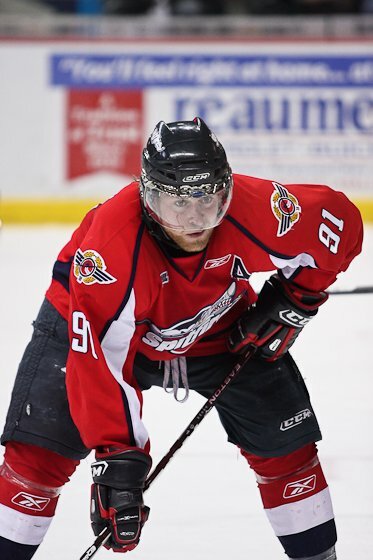 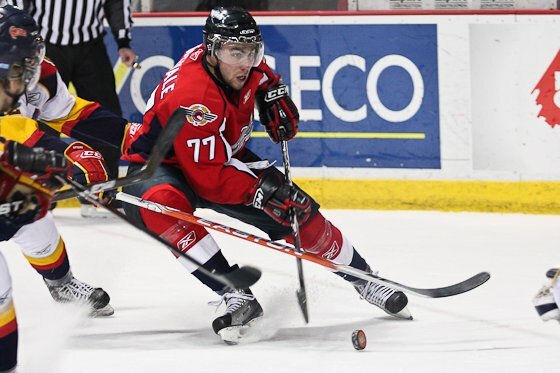 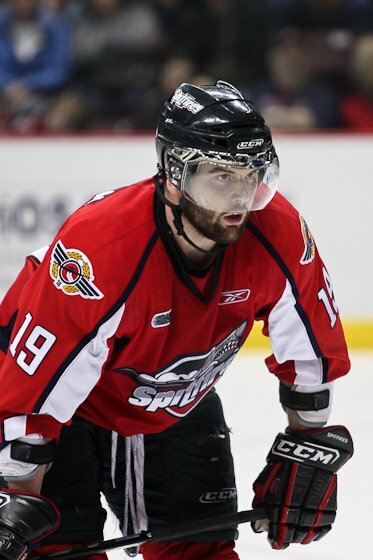 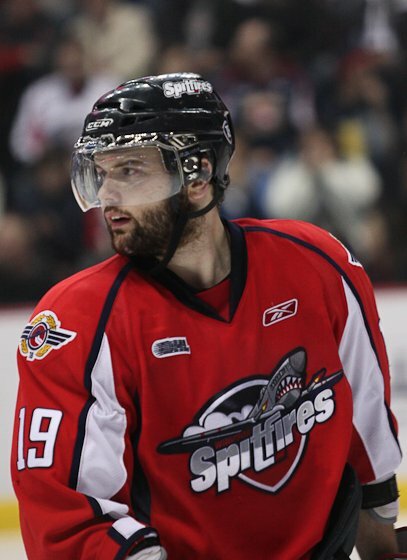 The Spits were unable to score in the first period, but Erie managed to begin their lead with a goal by Luciani. 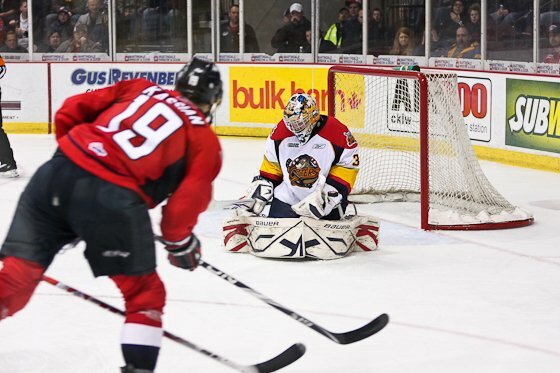 It wasn’t until the second period when the scoring took off for Erie. 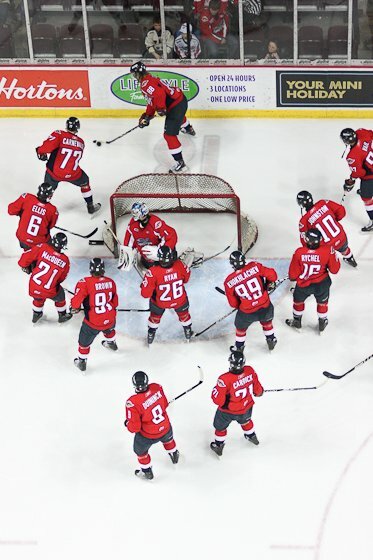 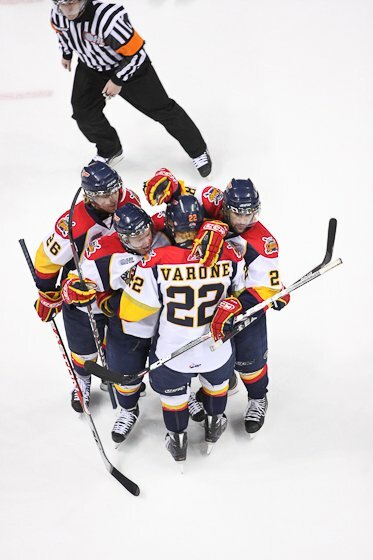 After a goal by Windsor’s Adrian Robertson in the opening minutes of the second period Erie was able to rally and score three goals by Varone, Holden and another by Luciani. 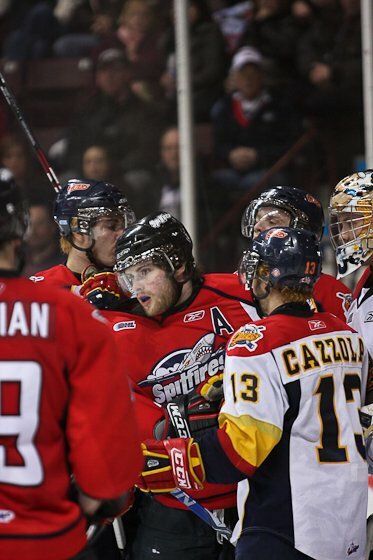 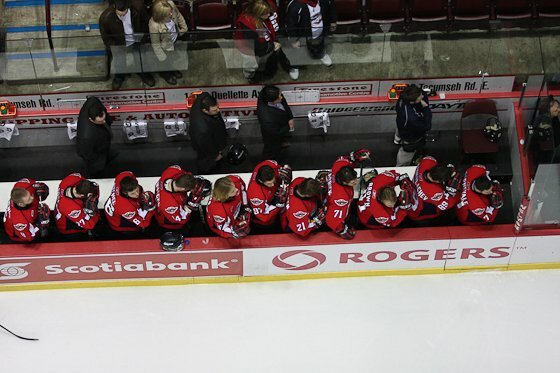 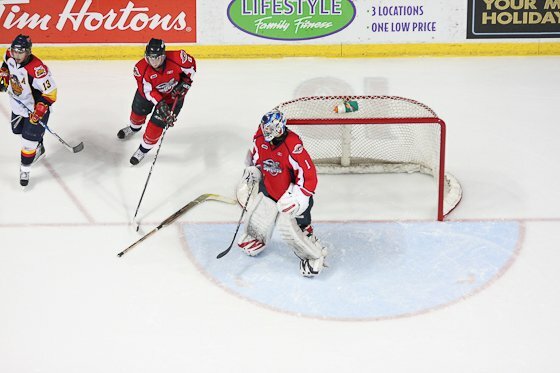 The Spits faced a 4-1 deficit going into the third period and it didn’t look to bright for the Spits. 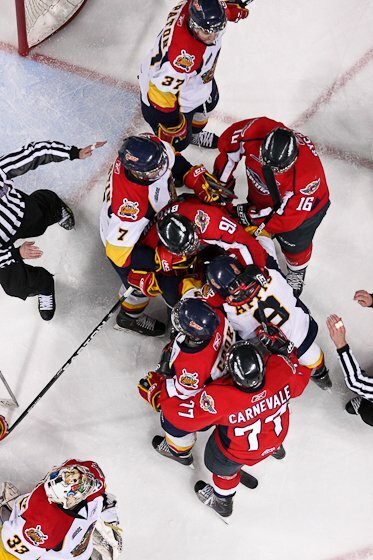 The Spits erupted in the third period and wanted to finish this series tonight! 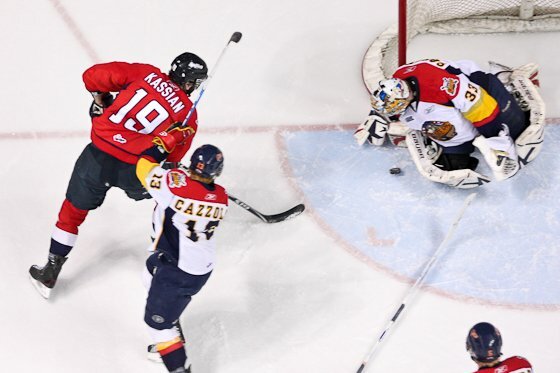 First Khokhlachev started things off with a power play goal assisted by Robertson and Kuhnhackl. 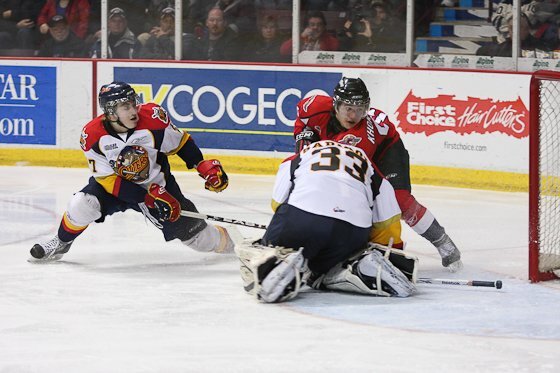 Erie matched that goal just over a minute later by Luciani again, his third of the night. 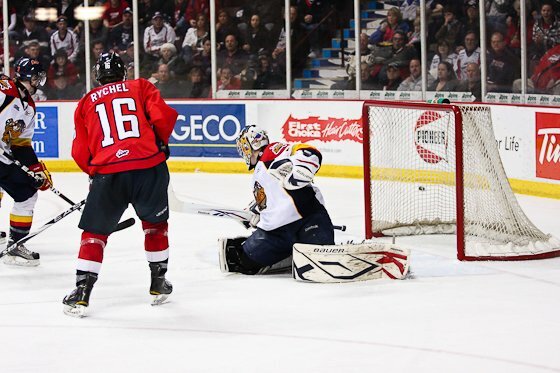 Then the Spits rallied to score three goals in less than seven minutes, they were scored by Kerby Rychel, Jake Carrick and Ryan Ellis’ wrist shot on goal when Sadikov was down to tie the game. 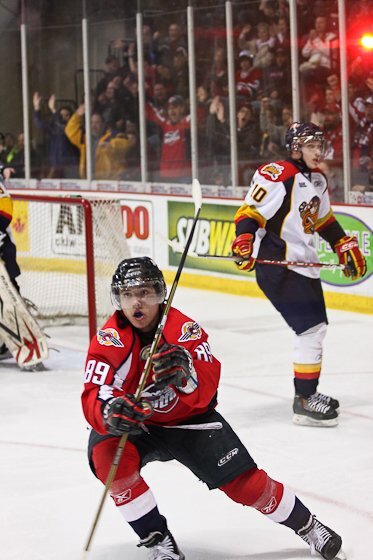 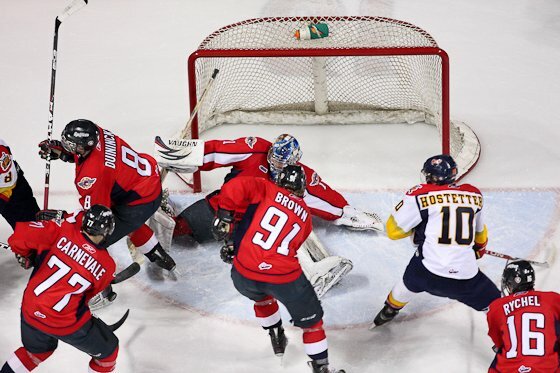 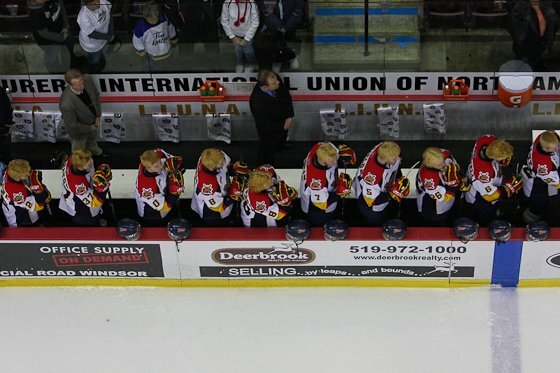 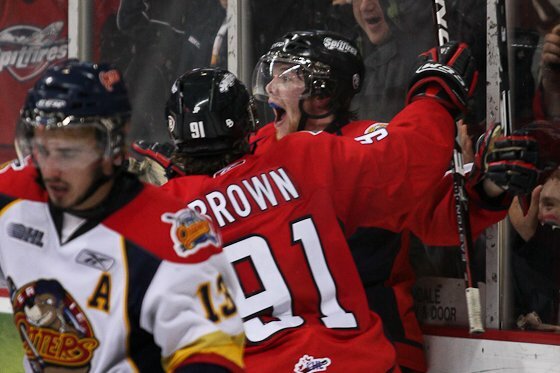 The WFCU Center erupted knowing that they now had a shot at finishing the Otters off. 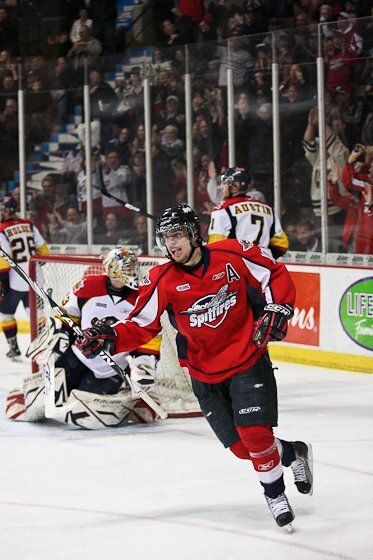 The Spits were able to comeback from a 5-2 deficit and tie the game! 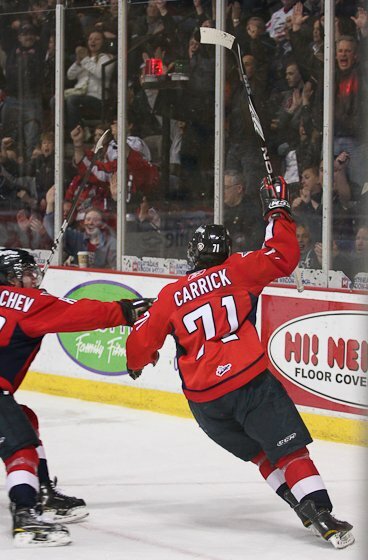 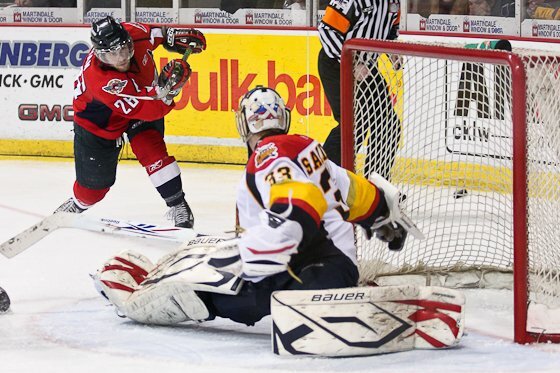 Within the first 4 minutes of play after a bad Spits turnover in their own end, Luciani deked Jack Campbell and was able to put one up top to force game six Sunday night in Erie and his fourth of the night. 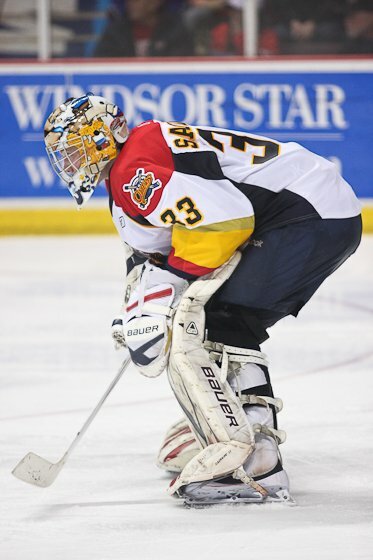 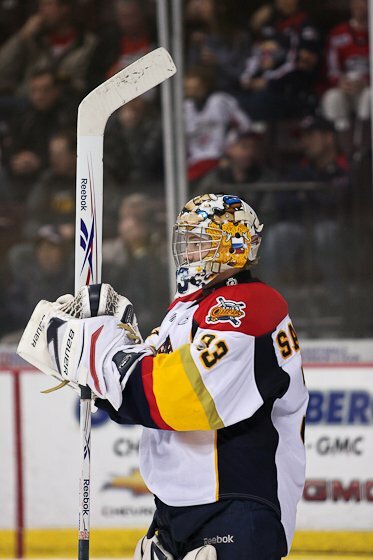 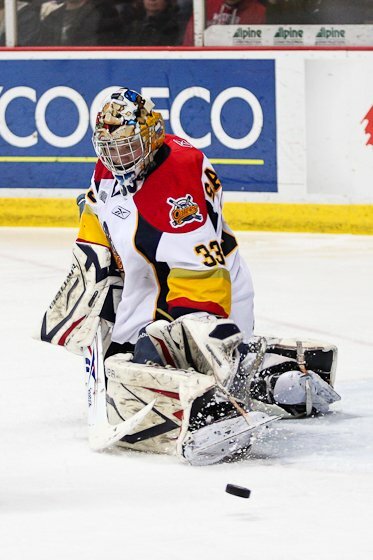 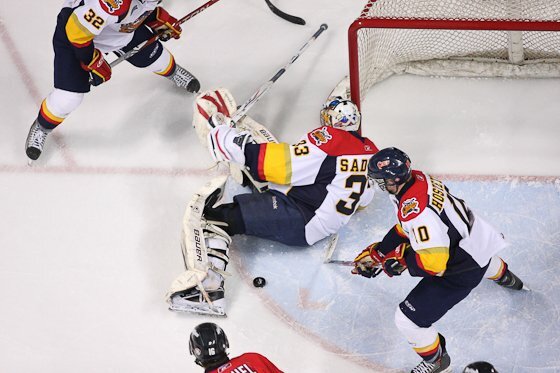 Erie’s Sadikov made an outstanding 50 saves stopping Windsor’s strong offense.